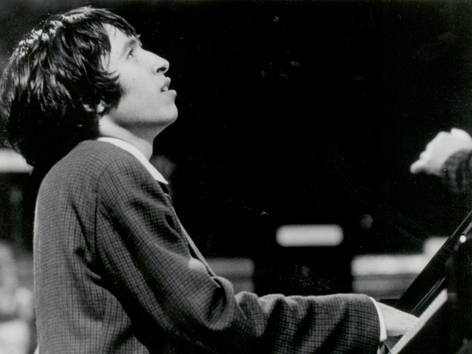 In honor of his 70th birthday this month, I'd like to spotlight Murray Perahia in sincere appreciation of his artistry! His early recordings of Mozart's piano concertos with the English Chamber Orchestra are among my favorites. Considered to be some of Perahia's finest work, the complete concertos were released in 2006. When sourcing a cross-section of reviews, it's quickly evident just how popular it remains. Audiences and critics agree: this is essential listening! If these recordings are unfamiliar territory or you're due for a return, I hope you'll be encouraged to listen! While recording the Mozart concertos, Perahia brought forth a novelty with the Concerto in C (Op. 3, No. 3) by Johann Samuel Schroeter, a contemporary who Mozart admired. Listen. In 1778, Mozart wrote to his father: "...tell me whether you have Schroeter's concertos in Salzburg ... If not, I should like to buy and send them to you." This review by James Leonard is one that I feel speaks most accurately to Perahia's work and how the recording technology of that time (1975 to 1988) factored into an ideal aesthetic for Mozart. "Sony's late stereo and early digital sound is consistently clean, colorful, and immediate." Although performance videos documenting this cycle aren't available (at least to my knowledge! ), there are videos of Perahia performing Mozart with the Chamber Orchestra of Europe a few years later in 1991. Conducting from the piano as Mozart himself would have done, watch Perahia perform K. 595 with the orchestra! 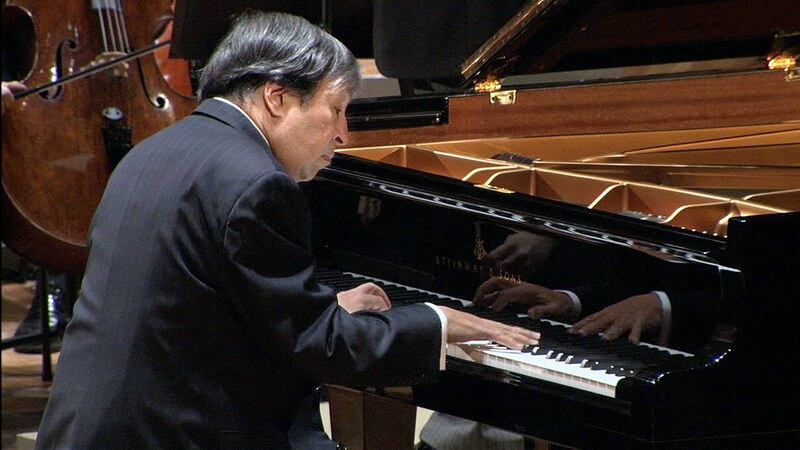 In the 2010 documentary, Not of This World, Perahia can be seen rehearsing Mozart's piano concerto K. 466 with the Academy of St. Martin in the Fields. The Academy recorded this piece for the Amadeus (1984) soundtrack with its Founder, the legendary Conductor and Mozartian Sir Neville Marriner. Publicity for the film suggested that "Only two people were qualified to conduct the score" and "One was available." Below these words were photos of Mozart and Marriner. Reaching #1 on the Billboard Classical Albums Chart and #56 on the Billboard Popular Albums Chart, the Amadeus soundtrack took Mozart's music to its largest audience in history. To date, it has sold over 6.5 million copies and received 13 Gold Discs, making it one of the most popular classical music albums ever. In the decades following the film's release, its drama and music have continued to draw students and general audiences alike to the Wunderkind. Amadeus will always have a special place in my heart as a beginning, a catalyst. Its soundtrack provided some of the very first notes from Mozart to touch my ears. At the end of the film, when the audience is still grappling with Mozart's death and Salieri's crude insanity, they hear K. 466's second movement which, in dramatic fashion, spans the length of the credits. It's the perfect flourish. In this clip, Perahia performs the last few measures of that movement with Marriner and the Academy in April 2014. Marriner passed away in 2016, making this moment with Perahia all the more poignant. Perahia was appointed as the Academy's Guest Principal Conductor in 2000. When asked in an interview if he felt satisfied having recorded all of Mozart's concertos, Perahia responded in a humble nature that has always characterized him: "I learned a lot from that experience. Going through twenty-seven concertos and seeing his development and evolution taught me a lot. Still, I feel I'm a beginner in front of Mozart. (laughs). So, it doesn't matter!" "I look forward to working with Deutsche Grammophon on projects that are dear to my heart. The recording process provides the chance to return to compositions - to uncover fresh ways of thinking and feeling about them - and to explore the masterworks of the keyboard repertoire at every stage in one's development. There is something very special for me about revisiting music by composers such as Bach, Beethoven, Mozart, Chopin and Brahms. Their inexhaustible art remains a constant source of inspiration to me. My exciting new relationship with Deutsche Grammophon means that I can share my interpretations with the widest global audience." Happy Birthday, Mr. Perahia! Thank you for continuing to share your musical gifts. I look forward to what's next on your enduring journey and masterful stride with Mozart!